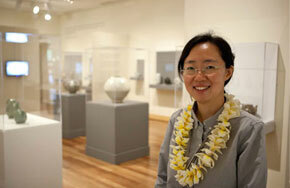 The role of Korean art and culture at the Honolulu Museum of Art dates back to the earliest days of the museum—when it opened in 1927, it included a gallery called the Korean Room, filled with exquisite examples of Korean painting, sculpture, decorative arts, and, above all, ceramics. 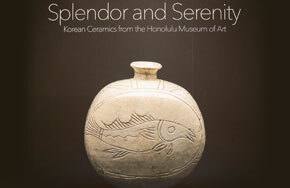 Many of these ceramics remain some of the museum’s greatest highlights and are featured in the current exhibition Splendor and Serenity: Korean Ceramics from the Honolulu Museum of Art, on view through Nov. 8. Accompanying the exhibition is Splendid Korea Month—throughout September, the museum offers events focused on Korean arts and culture.